Welcome to Tulip Time Images! I am a Hunter/Central Coast photographer specialising in Lifestyle and outdoor family portraits. My great love in photography is portraiture - newborn, maternity, children and families - this is my passion and I never stop learning. Every day I am working, taking images, defining my style and becoming a better crafts person at my job. My philosophy is to capture the essence of the world with my art of photography, bringing a smile of pleasure and capturing life in any given moment. A non-refundable $50 session fee is required at the time of booking to hold your chosen date of your session. Please let me know if you need to change the date and I will do whatever possible to accommodate your needs. It is requested that as a client you refrain from taking images during your session as this is why you have employed me. All images supplied to you are suitable for social media sharing. Prints are available at very reasonable pricing should you require wall art or prints of your images on your special day. ​See my pricing section for details. 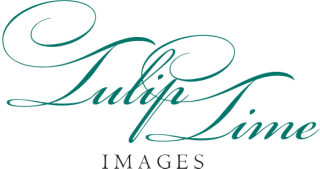 ALL images are protected by copyright laws and are the property of Tulip Time Image and therefore removing my logo to share images is not allowed..
Payment is due in full at your session. Tulip Time Images will select the best images from your session for processing at their discretion. ​Please do not ask for Raw images to be supplied as refusal may offend. All care and diligence is taken at the time of our session, but be aware that any minor in your care whilst I am photographing is the client's respnsibility, not that of Tulip Time Images.